Search Engine Optimization (SEO) has been around since 1997 and continues to play a major role in how companies market themselves online. SEO drives traffic by helping sites achieve higher ranking on search engines. As with most technology SEO has evolved in the last 21 years and will continue to into the foreseeable future. According to Brian Dean at www.backlinkco.com Google uses at a minimum 200 separate factors to rank a website for relevant searches. Not all ranking factors are created equal and some play a much larger role than others when looking at SERP’s (Search Engine Results Pages). Some key ranking factors used in Google’s algorithm are domain age, title tags, header tags, relevant content, length of content and page load speed. The ranking factor I am going to focus on here is page load speed. It makes sense that Google uses load speeds as a factor when ranking websites. The faster a website page loads the better experience the user will have. 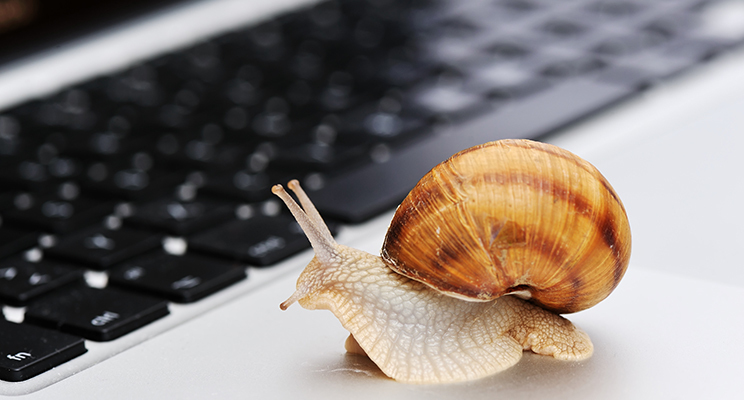 In contrast, slow load speeds will frustrate users, and cost you in search engine ranking. This is true for Google Adwords campaigns as well. Additionally, a slower load will likely lead to a much higher bounce rate, which according to some SEO experts, will negatively impact your search rankings as well. According to Google research, the chance of a bounce on your website increases by 90% when a page loads in 5 seconds compared to 1 second. If the site takes longer than 10 seconds to load a bounce is almost inevitable. Below are some factors that can lead to slow load speeds. 1. Sub-standard (cheap) web hosting. 2. Size of images. Images should be optimized (sized) for fast loading. 3. Videos hosted on the website. Embedding videos on your website using an external video player like Youtube will help to decrease overall load time. 4. Code Density – Basically the cleaner the code the faster the load. 5. Too many plug-ins. If you are using WordPress as your CMS this is something to keep an eye on. 6. Too many file requests. In July of 2018 Google confirmed mobile load speed as a major ranking factor in mobile search results. With the increase in mobile usage, this is a more critical marketing imperative than ever. Statistics show that over 50% of all Google searches were done on mobile devices. 42% of Business to Business searches are done on mobile devices throughout the research and purchasing process. According to Google, in 2017 70% of mobile web pages took 10 seconds or more to fully load content. As referenced above, slow load speeds can almost guarantee a high bounce rate and far fewer conversions. A page load speed of three seconds or less is what Google experts say mobile website should strive for. Longer than that and you risk a much higher bounce rate and much lower conversion rate. Use Google’s PageSpeed Insights tool to see how fast your website loads on desktop and mobile devices. If your website isn’t as fast as it should be, work with a professional firm to help optimize your web speeds.